Parkwood Road will be closed from Monday 23 June to Tuesday 24 June. This is due to urgent repairs and cabling works which need to be carried out. For those two days, the one way system will allow two way traffic to give access to the car parks coming off of Park Wood road. We will not lose any parking spaces as a result of the closure. Buses will be unable to serve Parkwood during the works. For more information on car park closures please see the Staff and Student Transport Calendar. This entry was posted in News and tagged Canterbury, Canterbury campus, car park, disruption, Park Wood road, parking, transport on July 23, 2018 by cef20. On the new permit system you manage your own parking permit account. If you are coming in a different vehicle, for example a courtesy car, you can log in to your permit account and add the courtesy car to your permit. If you have more than one vehicle on your permit, make sure the vehicle you are currently driving is the active vehicle. To check which vehicle is active on your permit, log in to the permit system and select “My permits”. Click on the green vehicle icon and either tick the vehicle you want to become active, or select “switch vehicle”. “Switch vehicle” means that the other vehicle on your permit account will become “active” and will be the registered to park on campus in accordance with your parking permit. To add a new vehicle (including temporary vehicles), log in to the permit system and select “My permits” and “add vehicle”. To add a new vehicle (including temporary vehicles), log in to the permit system and select “My permits”. Click on the green vehicle icon to view the vehicle page and then select the blue pen icon to amend your vehicle details. Please note there is a limit to the number of times you can amend your parking permit. We have been advised that on Wednesday and Thursday there will be a 3 way traffic control system on St Thomas Hill at the entrance to campus. This may cause delays, particularly at peak times, so please allow extra time for your journey. This entry was posted in News and tagged add vehicle, disruption, parking, parking permit, permit account, switch vehicle on November 23, 2017 by Miriam Sandiford. Estates staff will be riding their bikes for 24 hours around Park Wood to raise money for the BLOODWISE cancer charity. 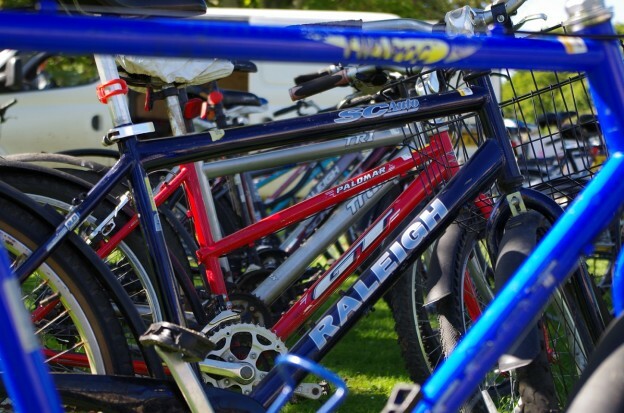 Hoath Court car park within Park Wood Courts will be closed to assist with the Estates 24 hour charity bike ride (14-16 July 2017). Please be particular mindful of cyclists in Park Wood during this time. The foot path between the Crab and Winkle Way, and Hothe Court Farm House will be closed to pedestrians. This entry was posted in News and tagged charity, cycle, disruption, Estates on July 13, 2017 by Miriam Sandiford. Giles Lane road, which runs through the Canterbury campus, is a public highway. Over summer there will be some disruptions to the road while maintenance works are carried out. These works have been arranged over the summer break to cause minimal disruption. Please see below to learn when these works are occurring and any other car park disruptions at Canterbury campus. 30 bays will be reserved in Giles Lane blue zone for an event being held at the Gulbenkian. The bays near to Keynes in Rothford car park will be closed while UPP set up a works compound so they can carry out refurbishments in Keynes. The car park bays near to Giles Lane will remain open. If you require accessible bays on 19 or 20 June please contact us. The car park will be reopened on Wednesday 21 June including accessible bays, minus approximately 8 bays which will be for the UPP site including contractor parking for the duration of the project. Kent Hospitality are also using approximately 4 bays in the Rothford car park near to Keynes for their portacabin. Woolf car park (approximately 15 bays) will be closed for three weeks to assist UPP with their foul water pumping station project. The accessible bays within the Woolf Quad will still be available. The section of Giles Lane blue zone car park located behind Woolf College will be closed to create a coach and minibus park to assist Kent Hospitality, Enrolment Management Services and Partnership Development Office with conference guests and school visits. This is approximately 40 bays. 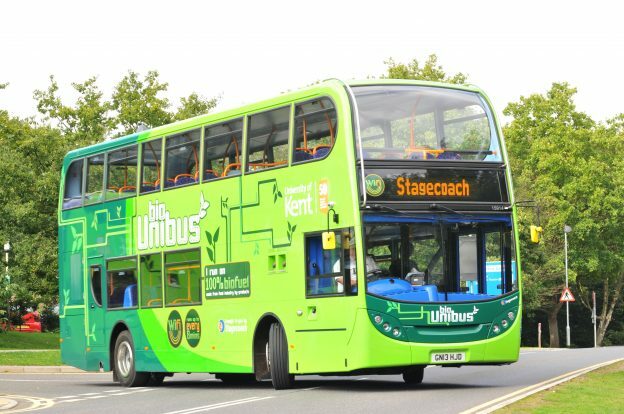 Please note that on occasions the coach park size will increase as more coaches are expected on certain days. We will notify you if and when there will be changes. There will be three-way traffic lights on the roundabout between Woolf and Darwin on Giles Lane for approximately 7 days. This is to assist UPP with the foul water pumping station project. The traffic lights will be removed in time for the July Open Day. We just wanted to let you know in advance that large sections of Giles Lane will be closed overnight (19.00-05.00) for 5 consecutive nights in late August for resurfacing and relining works by Kent Highways. Access will still be available. We will update when the dates have been confirmed. This work is being carried out overnight to reduce disruption. This entry was posted in News and tagged Canterbury, car park, disruption, parking on June 16, 2017 by Miriam Sandiford. We have been informed that the Mast Pond car park at the Dockyard will be closed. Chatham Historic Dockyard Traffic Marshals will be on hand to direct you to alternative parking. 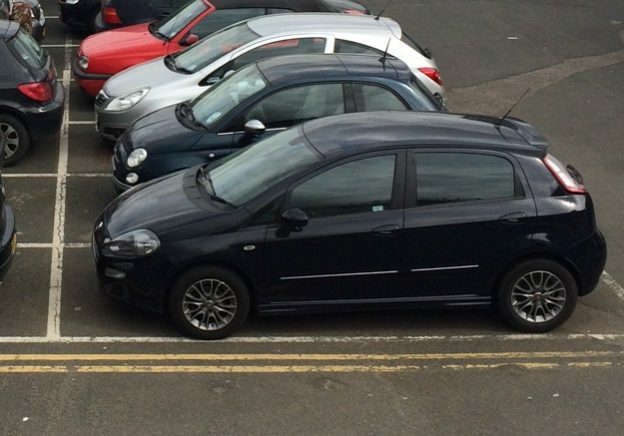 To assist them, please ensure you display your University of Kent permit to park on arrival. Parking will continue to be available at the Pembroke site for permit holders. The Drill Hall car park on the Medway Pembroke Campus will be closed to permit holders. 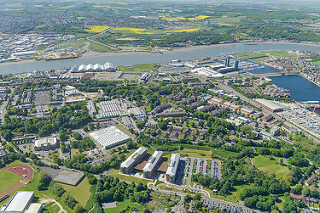 Saturday 17 June- from 08.00- 15.00 the car park will be used for the University of Kent Open Day at Medway. Saturday 17 June- from 15.00- 00.00 it has been agreed by licence that Medway Council can use the Drill Hall car park to assist with parking for their Battle of Medway commemoration event. We are in close communication with Medway Council to ensure that this event does not cause disruption to our Open Day. We are not expecting any road closures or disruptions that will have an impact on visitors attending this event. We will provide further updates if required. Sunday 18 – Wednesday 21 June- the car park will be closed for the UCAS Exhibition (HE Fair) being held by University of Greenwich. All card access to the car park barrier will be temporarily removed from KentOne cards with the exception of accessible bay permit holders. Please note all University of Kent permit holders can park within the University of Greenwich car parks on these days if they display their permit. University of Kent Gillingham and Mast Pond car parks will be available as usual. Monday 19 June- Tuesday 20 June- University of Kent and University of Greenwich Central Avenue bays will be closed to assist with the UCAS Exhibition. University of Kent accessible bays and visitor bays will remain open as usual. 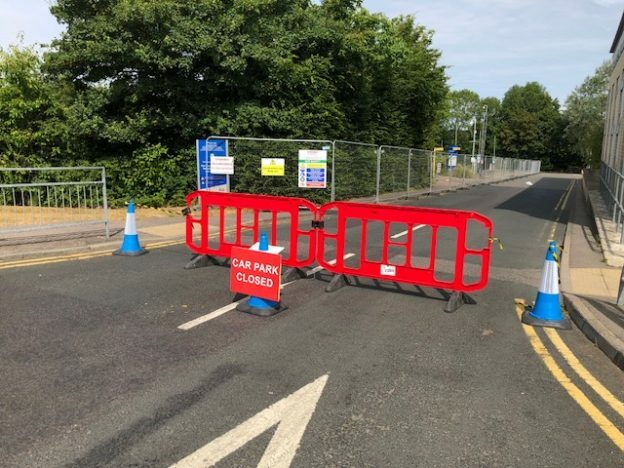 University of Greenwich parking bays located on Upper East Road will be closed on Tuesday but the road will remain open. Thursday 22 June- all car parks at Medway campus will be operating as usual. This entry was posted in News and tagged disruption, medway parking on June 6, 2017 by Miriam Sandiford. Wednesday 31 May- Sunday 4 June – Eliot car park will be fully closed during this period to allow Kent Union to set up and hold their annual Summer Ball (approx. 35 bays). Please ensure your vehicle is removed by 22.00 on Tuesday 30 May. Kent Union will hand back the car park at 8.30 on Monday 5 June and will be reopened if safe and agreed with Estates to do so. 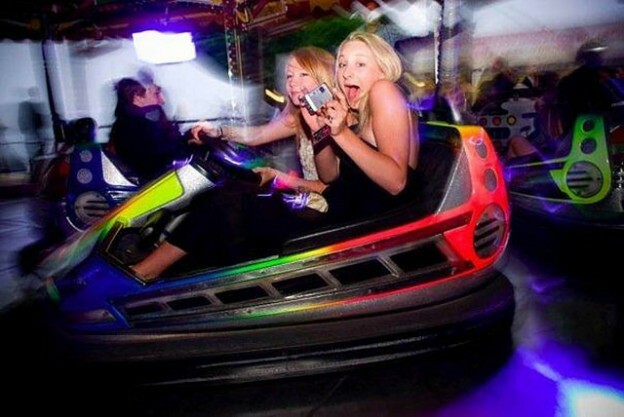 Saturday 3 June- Rutherford car park will be fully closed to create a temporary taxi rank to assist with the Kent Union Summer Ball. Please ensure your vehicle is removed by 22.00 on Friday 2 June. Rutherford car park will be reopened on Sunday 4 June. We have contacted all Government Blue Badge holders or Accessible Bay permit holders who we are aware use Eliot car park, however if we have not contacted you and you have a requirement to park in Eliot car park during this closure please contact the Transport Team as soon as possible so that we can arrange alternative parking for you. This entry was posted in News and tagged car park, disruption, Eliot, Kent Union summer ball, parking on May 30, 2017 by Miriam Sandiford. During this time all entrances to car parks will remain accessible. The work, which has been contracted by Estates, has not been scheduled near car park entrances during peak travel times to avoid disruption. Please see parking map for location of car parks and roads. We apologise for any inconvenience caused. This entry was posted in News and tagged disruption, maintenance, parking, road on April 21, 2017 by Miriam Sandiford.